Improves engine life and performance without having to totally refurbish the engine. EDE Systems, represented in Australia by SMC Pneumatics , has developed an automated total engine cleaning system. It removes all oil, wear metal, silicon, sludge, carbon and varnish from diesel or petrol engines in cars, trucks and mining and construction equipment. 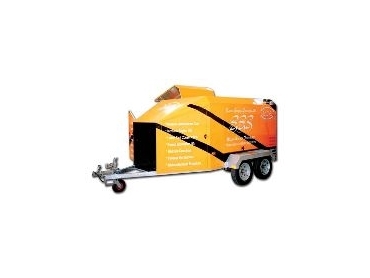 The process is safe and non-intrusive, involving mixing a recyclable cleaning solution with fuel (either diesel or petrol) and running the engine on this mixture for 20-30 minutes. The removal of carbon and the cleaning of the exhaust system using Engine Dialysis Equipment (EDE) will reduce exhaust emissions in diesel engines by anything from 10%-80%. The oil-flush system is run by a microprocessor which controls all of the pumps and valves in the machine at specific times and stages of the process. All of the valves used by EDE are from SMC Pneumatics and control pressures throughout the oil-flush system. 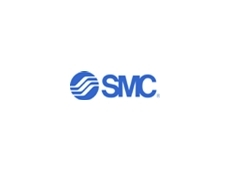 SMC pumps are also used in the cleaning fluid recycling system to pump the fluids. Without the EDE system, when oil becomes sludged up and deposited in the engine galleries, it cannot be completely removed when the oil is drained in the usual manner. Even when an engine has no sludge, an average of 10% of the old engine oil still remains after it is drained and the filter has been removed. Some wear metal from the engine is too small for standard engine oil filters to remove. It also remains embedded with the 10% of oil that remains after an engine is drained, ready to contaminate the new lubricating oil as soon as it is introduced. The problem is compounded by subsequent wear, oil changes and condensation that can lead to extra sludge formation. The engine oil flush system greatly improves engine life and performance without having to totally refurbish the engine. Both the EDE oil flush and compression chamber cleaning processes are easily and simply carried out by regular mechanical staff with the total service taking approximately 40 minutes longer than a normal service. The system is aimed primarily at government bodies, environmentalists, maintenance engineers, railways, shipping companies, mining, agriculture, armed services and logging.